The small town of Meyerton, 15km north of Vereeniging in Gauteng, is bearing the brunt of unrelenting protest action over housing issues. The latest development saw frustrated residents of the Sicelo Township dug a large trench across a section of road on the R59 highway, causing heavy traffic delays. 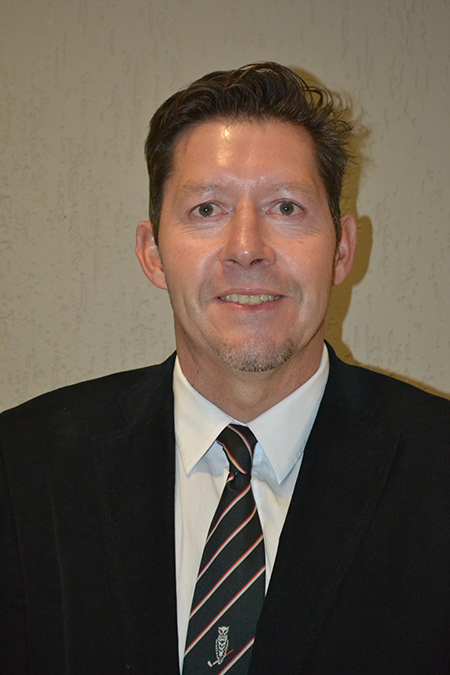 According to Prof Danie Meyer, an expert on local economic development (LED) from the North-West University (NWU), the community of Meyerton finds themselves in the proverbial “eye of the storm” of what has become a very contentious service delivery dispute. The R59 highway links Johannesburg with the Vaal Triangle region and as such forms part of the region’s lifeline in terms of trade and industry. Professor Meyer, a senior researcher at the NWU’s Faculty of Economic and Management Sciences in Vanderbijlpark, argues that the lack of cooperation between the three spheres of government (national, provincial and local) is not only costing the region in terms of investment opportunities but also affecting the tax payers directly. “The causes of this unacceptable situation are poor service delivery vis-à-vis housing, water, sanitation, and electricity in the Sicelo informal settlement,” says Prof Meyer and adds that this situation has been left unattended for 15 years and that the local communities are – understandably – tired of waiting on these services. According to Prof Meyer the political game playing and poor communication between the provincial ANC government and the DA governed Midvaal Local Municipality take centre stage in the service delivery debacle. The unaligned attempts by the local SAPS and the Gauteng Traffic Department to restore law and order further exacerbate the problem. Another way in which the town is adversely affected is in terms of its road infrastructure. In the latest development, angry residents have dug a large trench across the highway, causing not only heavy delays but also forcing trucks to use alternative routes taking them through town. “Internal streets such as Meyer Street, Pierneef Street and Morris Street are seriously affected and as a result approximately 20km of local roads are already showing signs of collapse. It is estimated that the repair cost will amount to R500 000 per kilometre or a total cost of R10 million,” says Prof Meyer and explains that this amounts to R100 000 per day. And still the extra burden on the tax payer does not end here. Midvaal Local Municipality had to subcontract the Red Ants to assist the SAPS in maintaining law and order at an estimated cost of R20 000 per day. Add to this the indirect cost of the highway closure (as measured in cancelled commuter, business and delivery of good trips), as well as aspects such as the increase in delivery costs (due to fuel price hikes) and time spent on the road it, is clear that the approximately 36 000 vehicles that use the highway on a daily basis contribute immensely to the problem. Of these vehicles, between 5 to 10% are heavy duty trucks. When translating the statistics to the number of passengers affected the numbers increase to 72 000 individuals. If a conservative income of R 250 per hour is used, a total of R 18 million is lost on a daily basis. The total daily cost of the highway closure is therefore approximately R 18 135 000, if calculated conservatively. If the road is left closed for a week, this cost is approximately R 125 million and a monthly cost will amount to approximately R 500 million.